Iraqi Christians living in Kurdistan have complained that their properties and lands are being seized and built on by ethnic Kurds and some have even accused Kurdish government officials of trying to "Kurdify" Christian areas, a new report from the United States Commission on International Religious Freedom details. The congressionally-mandated office recently released a report titled Wilting in the Kurdish Sun: The Hopes and Fears of Religious Minorities in Northern Iraq, which states that many religious groups living in the Kurdish Region of Iraq (KRI) feel they remain "second-class citizens" even though they fled from persecution at the hands of the Islamic State. According to USCIRF, the report is "the first independent report of its kind to involve in-person interviews with representatives of almost all the religious minority groups" in the KRI. The report, published last month, was prepared between May and August 2016 and was authored by Crispin M.I. Smith and Vartan Shadarevian. The project was overseen by USCIRF policy analyst Jomana Qaddour. The report summarizes that even though KRI has served as a "haven" for thousands of displaced minorities fleeing the Islamic State and offers religious freedoms that are "comparatively robust" in comparison to its regional neighbors," there are still "troubling issues related to discrimination and even violence targeting ethnic and religious minorities" that exist in the region. "While the KRI remains far more welcoming and tolerant to minorities than its regional neighbors, minorities complain of systemic biases leveled against them that prevent them from realizing rights or fully participating in society," the report reads. "Rule of law and law enforcement as it applies to non-Sunni Kurds can be arbitrary. Minorities continue to fear growing extremism in the majority population, which they believe could threaten them in the long term." Considering that the Kurdish Regional Government (KRG) has been at the forefront of the fight against the Islamic State and has taken control of large swaths of land in "disputed territories," the report explains that alleged Kurdish policies in these disputed territories have become a "concern." 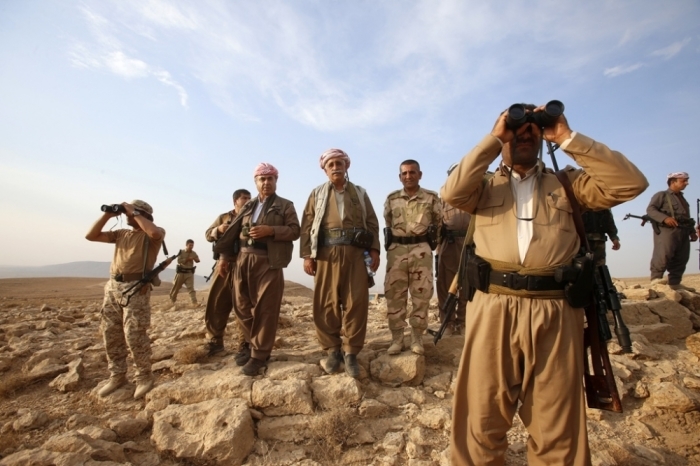 "Kurdish authorities, parties, and security services have been accused of attempting to 'Kurdify' more ethnically diverse parts of the disputed territories, possibly as part of KRG policy to boost retention of the disputed territories once Baghdad turns its attention to its territories now occupied by Peshmerga following battles with ISIS," the report explains. "Although officials deny such a policy exists, a growing number of NGOs, activists, and reports have detailed evidence of the destruction of properties and attempts to prevent IDPs returning to their homes. "In addition, some minorities are precluded from aid or support, or are even targeted, if they do not support or are critical of local Kurdish parties. This may be part of a long-term strategy to entrench control of the disputed territories." The report adds that not only have displaced Yazidis been pressured to identify as Kurds but Christians have "faced land appropriations by Kurdish landowners." "Christian citizens of the KRI have issued complaints and held protests against Kurdish residents for attacking and seizing their land and villages in the provinces of Dohuk and Erbil," the report states. "Some Assyrian Christians accuse Kurdish government and party officials of taking lands for personal use or financial gain. These Christians believe they are specifically targeted as part of a policy to Kurdify historically Christian areas. "Other Christian leaders do not believe a policy exists, but do concede that individual Kurds and Kurdish businesses have been known to build on or take Christian land." According to the report, Christian accusations of land appropriations by ethnic Kurds is "especially true" in the Dohuk countryside around Zakho and the Nahla Valley areas.